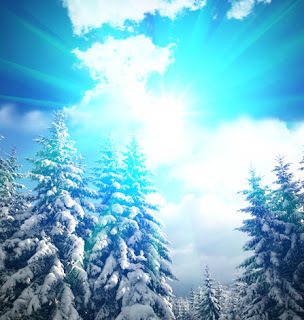 "And finally winter, with its bitin', whinin' wind, and all the land will be mantled with snow." — Roy Bean. That's winter — perverse yet picture perfect, providing the perfect landscape for photographers and weather that no one wants to venture out in. From autumn on, weather experts were promising us this year, a traditional, formidable Canadian winter, one of plunging temperatures and plenty of that fluffy white stuff blowing around. If the start of this new year has been any indication, it would seem that they have indeed nailed it. From the moment this season made its official arrival, it has brought with it all of the things that make it the complex character it is — at times a bitter and obnoxious fiend, at others a lively and picturesque scamp. So far in 2018, stormy blasts and deep chills have shown that Old Man Winter wasn't going to waste any time delivering his worst. Having just recently come out of a deep freeze, with biting cold numbing us nose to toes, we awoke today to an overnight dumping of about a foot of snow. Unquestionably, it could be said that winter is an acquired taste, one that I have little desire in savouring. From the first dip below 0°C or the initial snowflake sighting, I settle in for a period of semi-hibernation, venturing out of doors only as needs and life requires. Which helps me to ignore the bluster outside, but does admittedly put a bit of a crimp in at least one of my leisure pursuits. As much as I like photographing all the examples of the beauty Mother Nature provides, it's generally a warm-weather hobby. Not for me are the cold temperatures and challenges of winter photography. Certainly, there are winter patterns and landscapes that have caught my attention enough to force me out of my haven to grab a picture or two – the water from a dripping eave frozen in time on a branch, or the splendour of a glowing sunset over incandescent snow. But these are quick flashes. 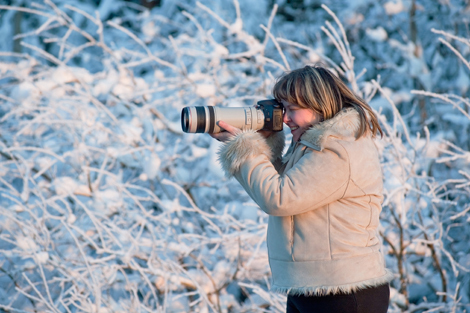 Die-hard winter photography buffs know what it takes to get those pictures. Patience in summer is one thing, waiting when temperatures are sub-zero quite another. Special equipment, special clothing are a must, while a strong tolerance for cold doesn't hurt either. The first two you can get easily, the latter is something you have or you have not. I would fall under the 'have not' side of this. While I often joke about only having a two- degree comfort zone, I actually love the blaze of a summer sun, the muggy humidity of an August day. But being cold? That I hate. To my mind it's one of the most unpleasant conditions there is. Thus, when winter winds blow, you will find me snuggled indoors under a cozy afghan, not wandering the backwoods and fields looking for a great photo op. Which makes the efforts and tenacity of those who will venture out in the ice and snow, slugging camera equipment and sitting patiently in frigid temperatures to get beautifully stunning pictures greatly appreciated. Jack Frost and Old Man Winter might be a nasty pair, but they clearly have an artistic side. Those photographing their work can achieve some remarkable results.